Our undergraduate course provides a solid foundation in core subjects, combined with an area of specialism relevant to emerging engineering challenges. It was developed to apply advanced training technology from United States partner universities. Specifically, the program will equip students with modern knowledge, professional skills, and the ability to competently use informatics & communication tools and foreign language in professional activities; to promote their analytical skill, problem evaluating skill and to quickly adapt to any working environment in the future. Soft skills such as teamwork, communication, identifying & solving problems through hands-on training are also offered to our students in a creative, professional, dynamic and competitive international environment. Design and construction of software, hardware for automatic control equipment like the control device in automobile, electronic equipments, barcode reading equipments, industrial robots, industrial chains. Managing and building security solutions for computer system and computer network. 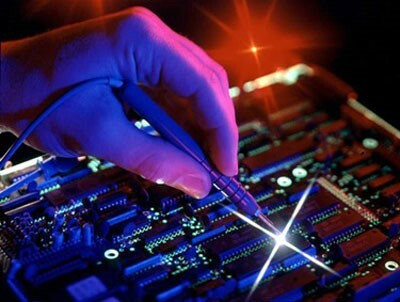 Working for software outsourcing companies in the USA, Japan and Europe markets. Consulting, appraising and developing information technology projects and solutions. The first three years: The program is completely similar to the program at UIUC. Students will focus on learning the interdisciplinary basic knowledge. The last year: Students will choose one of the three major concentrations to study, including Power and Energy System, Communication System and Control Engineering. Option 2: After completing 02 years at HCMUT-Bach Khoa University, students with financial and academic eligibility may transfer to our oversea partner universities in the later 02 years to complete their study for Bachelor degree. The official bachelor degree is awarded by our partner universities in Australia and USA: The University of Queensland (Australia), University of Illinois at Urbana Champaign (USA), Catholic University of America (USA), Rutgers University (USA), Macquarie University (Australia). The advantage of this option is that the student can save about 50% total fee (tuition fee and living expense) compared to studying for full 4 years in Australia and USA to get a Bachelor Degree awarded by our partner universities. Please contact or visit HCMUT-Bach Khoa University website for further information.